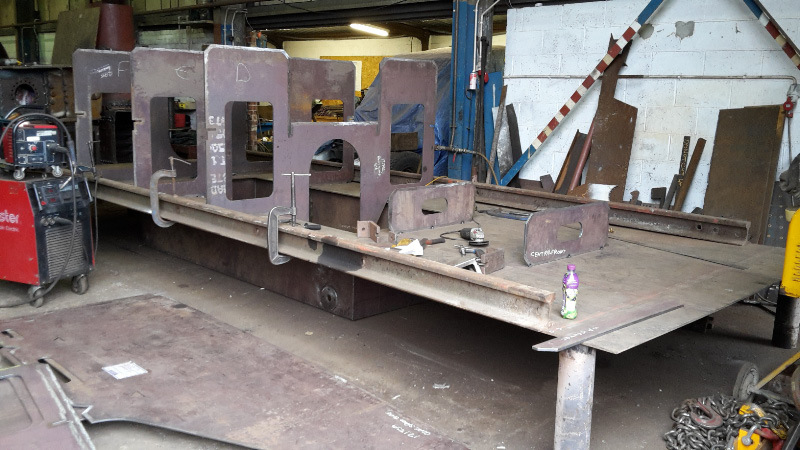 Adam Dalgliesh has started fabrication of the new tender tank. 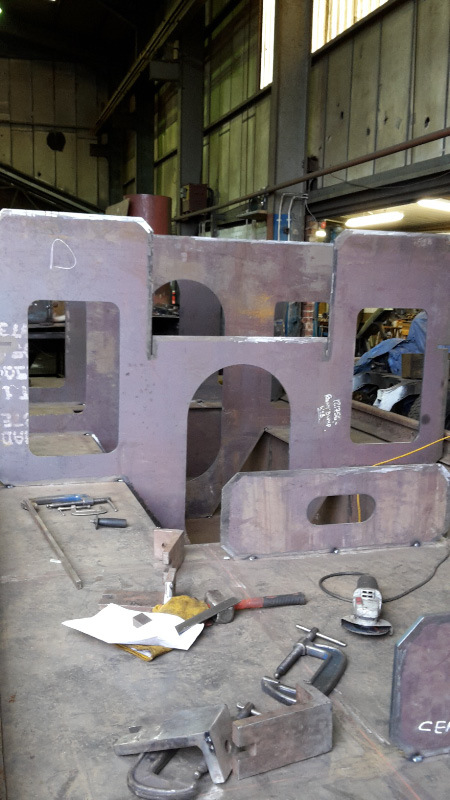 The photograph shows the base plate being held straight by the railway lines. Below is the sump with the water feed flange visible. On the base plate the majority of baffle plates in the waterspace can be seen. In the middle the baffles support the sloping coal chute.